Posted on July 1, 2012, in How To and tagged blog, blogging, misc, random, tutorial, widgets. Bookmark the permalink. 35 Comments. This worked perfectly Dotty, thank you! Now this blog is permanently linked in the sidebar and not just on that one post. This worked beautifully. A BIG thank you to Dotty! Thanx I will work on that when I finish my move this morning!! thank you, you have no idea how helpful that was. i spent forever trying to figure it out in the last couple days! i’m not real computer savvy. i did it in a min. with your instructions! I forgot to say this is also how you put Award pictures on the side of your blog if you want them there. It’s only been a few weeks since I managed to get a picture to stick inside a post and if another blogger hadn’t told me how to do it I’d still be crossing my fingers every time I press publish. Just a thought, but I wonder if it would be worth doing some more How To posts for this blog – I know I found some of the things extremely hard to figure out until I got used to them, especially things that everyone else seemed to do easily, like pictures in posts and videos in posts (I had to ask how to do that on my blog, I couldn’t work it out at all). how too’s would be great, when i google them even if it is for beginners it is still to complicated! i would like to know more about css and rss…that stuff completely confuses me! I know the basics, that’s about it. yes me too, but i want to learn so i can make my site into my own thing! I use pictures on the sidebar of my Notes From A She-Hermit blog to try and make it recognisable as mine. And I have a front page that’s permanent (I did one for here, too). I know other people use Backgrounds, but I daren’t try one in case I mess up my blog, and busy backgrounds take ages to load anyway. On this blog I learned to make a Header of my own using Photoshop – that’s the first time I’ve attempted it and it took me most of the day to get it right. I’d like to learn some things too. I wonder if there’s someone who knows how to do the more complicated stuff who’d be willing to do a guest post. I might think about asking when we get a few more people. that would be awesome! the header on my blog is a pic i took and i didn’t need photoshop to put it up thankfully because i have no idea about photoshop ha! a guest post would be awesome! I did it a slightly different way . . . I right-clicked on the button and clicked “Copy Link Location.” That’s what I put when it asked for the image URL. I’ve been trying to work out how to add the button on my Typepad blog (my wordpress is my portfolio, so it for getting jobs, not having any kind of fun with whatsoever.) I’ve been mucking about in the typepad widgets for a couple of days now. It will not beat me! 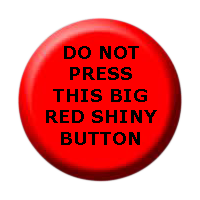 please give me specific instructions on how to take a button. Thank you. This is a great idea and I hope it goes viral! At the bottom of the page there’s a small button. Right click on it, click ‘Save picture as’ and when a box appears, click Save. That way you’ll have it on your computer. This post will hopefully tell you what to do next, but if you have any problems, just ask and I’ll try to answer. You are being smart and useful again. Oh dear. I’ll try to stop it. Random killings and good advice. You are all over the place. I can’t keep up. You make me seem almost normal… I love you man. Hey it didn’t work for me… every time I do a “save” the URL is deleted in the widget window… Not sure what I am doing wrong. I’m not sure why it hasn’t worked for you. All I can suggest is starting over again (if you can be bothered, that is) in case something went wrong with the upload. Sorry!